Proposed development by Tropical Island Resort Sdn. Bhd. (subsidiary of UDA Holdings Bhd.) at Jerejak Island (Pulau Jerejak). 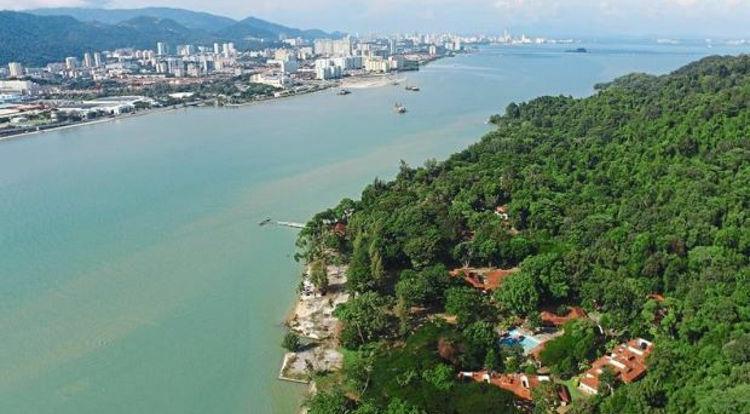 Located off the eastern coast of Penang Island, approximately 80 acres land on the small island will be redeveloped into a world class resort and residences. Developer : Tropical Island Resort Sdn. Bhd. So many residences, will they build a bridge to Jerejak island ? Ya, a bridge seems perfect. Come on. Stop development at this tiny island. Pg aldy over populated. DAP you are out next election. We hate you. Since I’m a kids I so hope to step on this small island with build of Disney land, universal studio, or world class floral and fauna space instead of sick island…..please make it popular ……. Over populated is good, look at those crowded cities like Hong Kong (7.3m), New York City (8.5m) and Singapore (5.6m), Penang Island only have 700k population (Wikipedia source). Will continue to support DAP and we grow together. You might need to consider to move to another state which is run by BN, underdeveloped, not much population and financially is bad as well. this island safe or not? last time it was a dumping ground keep all the zombies with all kind of sickness. Just wondering will this tiny island will get flooded like the Penang Island.